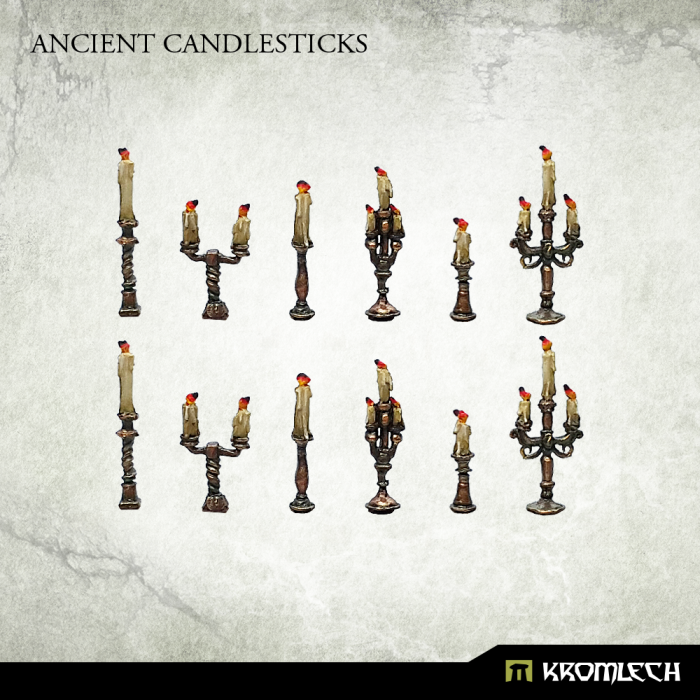 This set contains 12 high quality metal Ancient Candlesticks that can be used to decorate miniatures, bases or scenery. 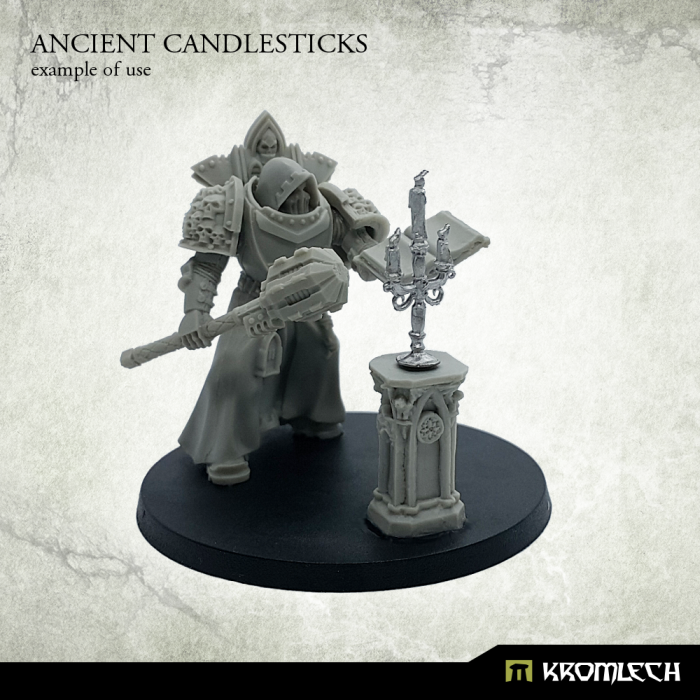 Designed to fit 28mm heroic scale. Please note that this product is made of metal.